MILK Makeup is one of Sephora’s newer brands. It is a very whimsical, minimalist brand that aims to make fun products for self-expression in a on-the-go format. I got to try a few of their products when I picked up the VIBES VIBES VIBES set at Sephora. It comes with mini sizes of their cooling water, matte bronzer, blur stick, and lip & cheek color. Here are my thoughts on each! Cooling Water: I absolutely love this. It feels so nice on my skin, and it helps my foundation glide on. It reduces redness slightly and is nice for my dry skin. I’m definitely purchasing this in the full size when I run out. Matte Bronzer: I love the formula of this, but it is borderline TOO ORANGE on my skin tone. It glides on and blends really easily. 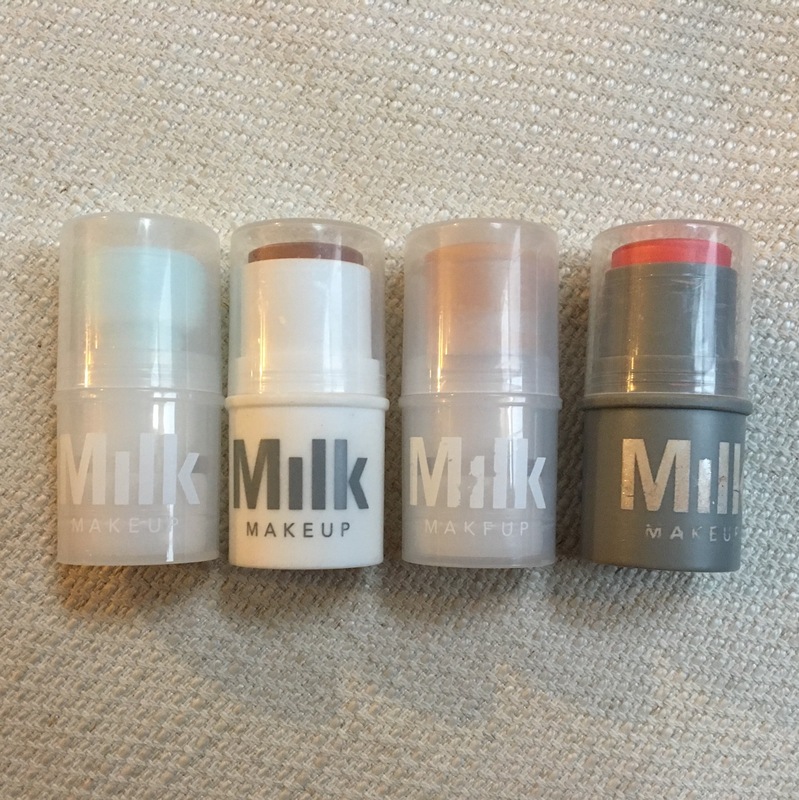 MILK originally only had this in the shade I have which would probably only work for a small range of skin tones, but they are releasing another darker shade and both are currently listed as “out of stock” at Sephora. Blur Stick: Now, this is the product that has been all over YouTube recently, and everyone seems to be praising it to the high heavens. I will say that I do LIKE this product. It does what it claims to do, but it can make my skin look dry so I’ve been just using it on my nose. Lip & Cheek: I LOVE this as a cream blush. As a lip product, it doesn’t do much for me. It isn’t pigmented on the lips and fades quickly. And the full size packaging is not really good for reapplication because it’s pretty bulky compared to a normal lipstick. (I did try their lip colors in a Birchbox sample and those are amazing). Have you ever tried MILK or any of these “minimalist, cool-girl” brands before? What were your thoughts? I’ve heard so much about this brand, can’t wait to try it out for myself! Ohh cool! I’ll have to check it out! ← I’m going cruelty free!